That's a work of art! I almost want to frame it! It's CASE'd from Carolyn King, an Australian demonstrator. 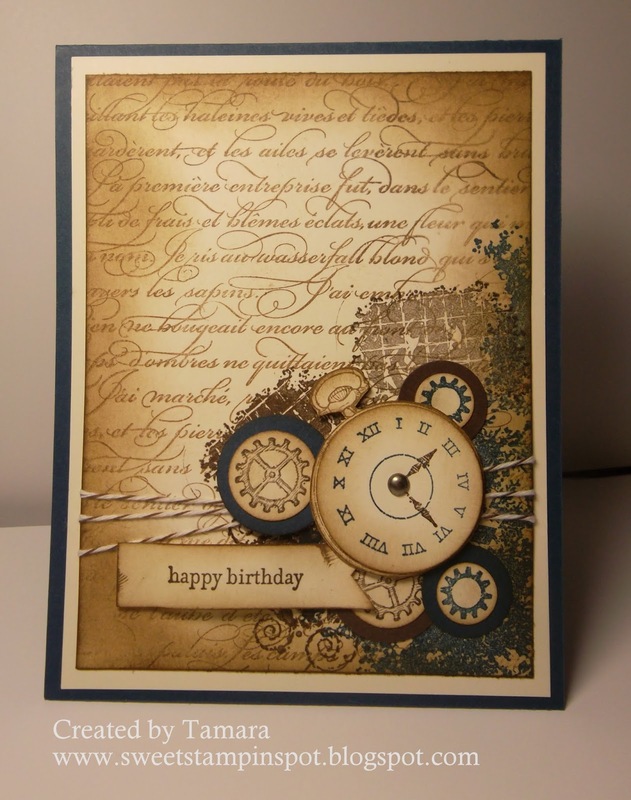 She has done a whole set of cards featuring this stamp set and using a similar style. Amazing work, Carolyn! 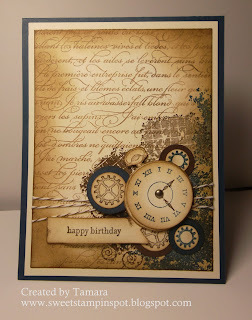 I used this card for my Collage Stamping technique night and received a TON of "WOW" comments. I'm also planning to give a card to my pastor for Pastor Appreciation Month, however, his will say 'thanks' or 'thinking of you' rather than 'happy birthday'. Just look at the detail. This is definitely worth the time to create! It's probably a 15 minute card if you have all the punches. The only piece that was snipped out by hand is the actual watch part. The face and cogs are all punched out. As always, I LOVE to read your comments! Hope you're feeling inspired! 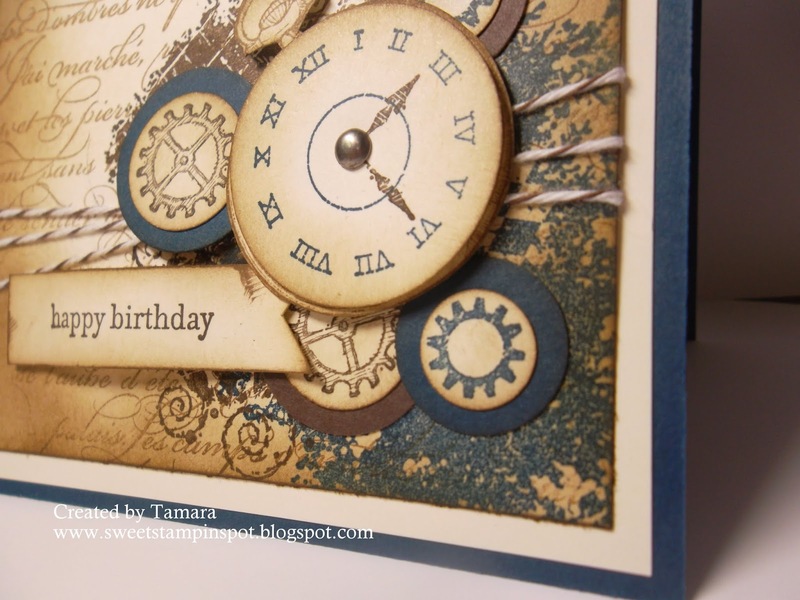 Love this card, Tamara! So sad that I wasn't there to make it. It is even more gorgeous IRL! Ryan saw a phot of this card on my phone and got really excited cause he though I made it for his birthday card this year. Guess I'll be CASing this one from you Tamara!